>Today was Jayda’s first dental visit and she did GREAT! 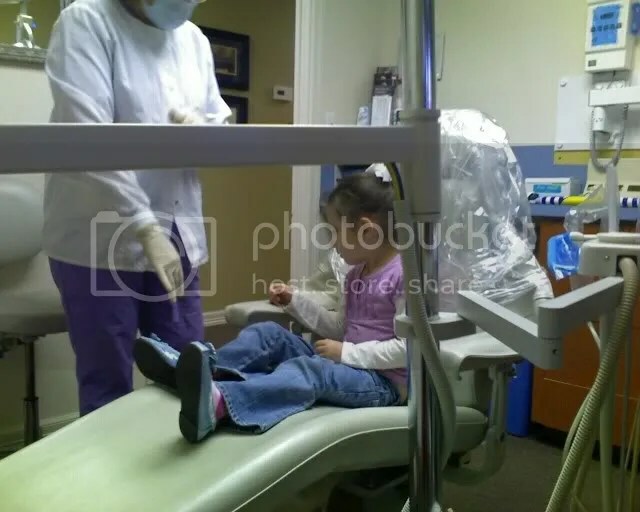 We took her to see Dr. De La Garza and he said her teeth looked good and surprisingly… no cavities 😉 (I know– bad parents to even have that fear– but yeah, we did). 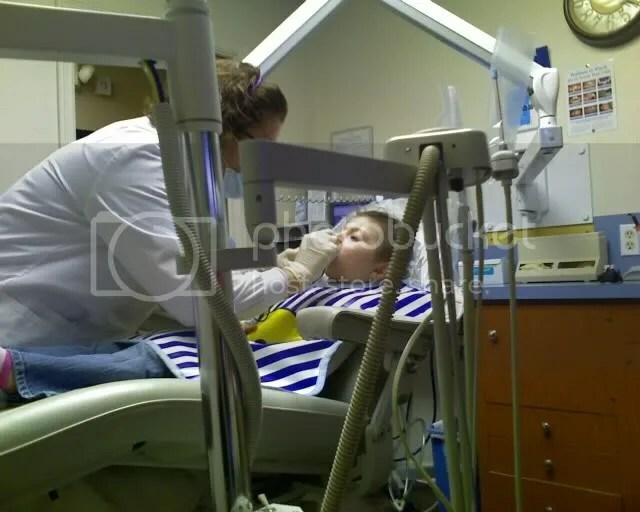 She struggled with the x-rays so they were only able to get the front teeth (I think) but it wasn’t because she fought it, it was more because she didn’t ‘get’ what they were asking of her. Here are some pictures that I took with my phone, cause– yeah, it might have been strange being in there with the big Rebel…LOL! >Omg! That guy is so good looking, you gotta give me his number! LOL Way to go Jayda!